In this issue: monster hunters go to war, a young girl embraces her destiny, and a time-traveler faces down an existential threat to humanity. All that, plus a new contest! When Monster Hunter International’s top hunter, Owen Zastava Pitt, receives a tip about some hunters who have gone missing in action, he doesn’t realize their rescue mission will snowball into the single biggest operation in MHI history. It seems their men are being held prisoner in a horrific nightmare dimension, and the only way to reach them is through the radioactive ruins of a monster-infested war zone. Allies are called to arms and a massive expedition is formed. The odds are stacked against them, but the fiercest hunters the world has ever known won’t be easily defeated. It’s time for Monster Hunter International to go to war. Get Monster Hunter Siege here. Destruction is in Jame Knorth’s nature. Literally. She is the avatar of a god known as That-Which-Destroys, the god of chaos and ruin. Yet Jame is also a noblewoman within an ancient race. Jame’s people are fleeing, world by world, from a terrible enemy that has pursued them through a multitude of universes. Its name is Perimal Darkling. Jame sets out to reestablish the long-fallen castle keep of Tagmeth as an outpost against the gathering dark power. 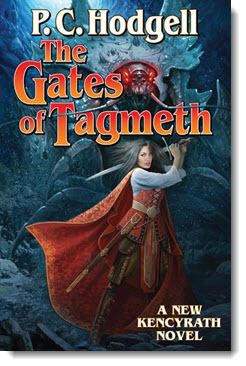 But Tagmeth hides a secret, a gateway to a mystery that may save this world from eternal darkness—or plunge it to destruction and ruin all the sooner. It is up to Jame to find her way through Perimal Darkling’s traps, and to come to terms with the god of pandemonium and destruction within her. If she succeeds, it may be that Perimal Darkling can finally be defeated after eons of fear and flight. And if she fails, yet another world will fall to darkness forever. Get The Gates of Tagmeth here. Jason Thanou has fought for the continued existence of humanity across the centuries. As a special operations officer of the Temporal Regulatory Authority, he’s traveled though time to thwart the Transhumanists—genetically and mechanically enhanced beings that seek to destroy humanity—and their alien allies, the Teloi. Now Jason must travel through Earth’s bloody history to ensure the survival of the human race. He and his team find themselves in Italy, two days before the death of Pope John Paul I. It seems something much more sinister than a simple heart attack is behind the death of the Holy Father. Racing against—and through—time, Jason and his fellow officers must defeat the Transhumanists and their Teloi allies. For The Day of Transhuman apocalypse grows ever closer! 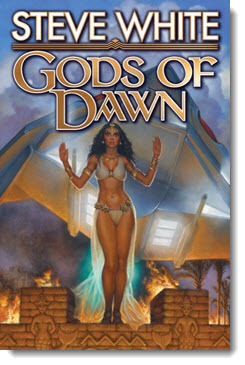 Get Gods of Dawn here. 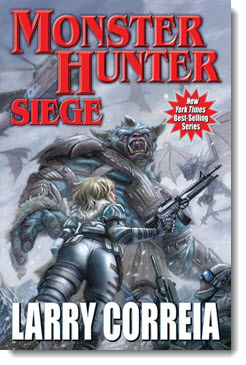 In Larry Correia’s new Monster Hunter novel, Monster Hunter Siege, it’s all hands on deck as the MHI team go to war. Now we’re asking you to do the monster mash. What character or characters from another fantasy, science fiction, or horror series would you like to see team up with Owen Pitt and the MHI crew? 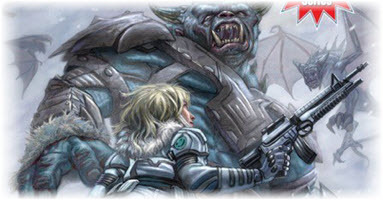 Let us know in a short (100 words or fewer) paragraph for a chance to win a signed copy of Monster Hunter Siege. 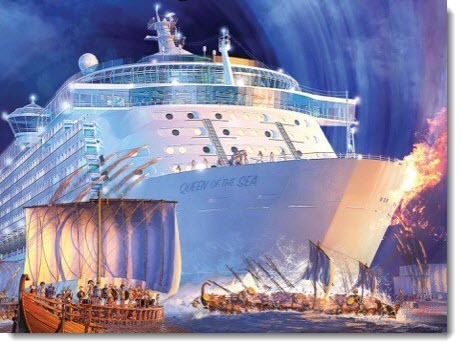 Last month, we asked you where and when you would travel to if you had a time-traveling cruise ship. Congratulations to Patrick Batey. He wins a copy of The Alexander Inheritance, signed by Eric Flint, Paula Goodlett, and Gorg Huff. Read Patrick's winning entry here. 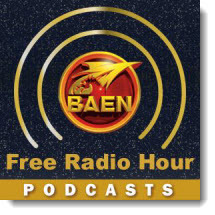 Coming soon to the Baen Free Radio Hour: Travis S. Taylor and Jody Lynn Nye discuss Moon Beam, which features a team of video-streaming science-obsessed, adventurous kids living on Earth’s Moon. And the producers and director of an effort to bring John Ringo’s Black Tide Rising series to television discuss the project. Missed past episodes? No problem. We’ve got every episode archived for your listening pleasure. 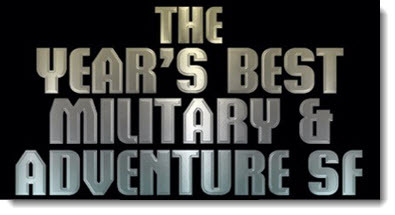 When Monster Hunter International’s top hunter, Owen Zastava Pitt, receives a tip about some hunters who have gone missing in action, he doesn’t realize their rescue mission will snowball into the single biggest operation in MHI history. The odds are stacked against them, but the fiercest hunters the world has ever known won’t be easily defeated. Jame Knorth, noblewoman and avatar of a divine being known as That-Which-Destroys, must travel to the abandoned castle keep of Tagmeth. There she will face down an ancient darkness that threatens the land. Jason Thanou and his team of time travelers must once again make the world safe from the Transhumanists and their alien allies, the Teloi. To do so, they’ll have to journey into Earth’s past to investigate the assassination of a Pope—and witness the early beginnings of human civilization. Don't forget to check out the newest ebook releases here. 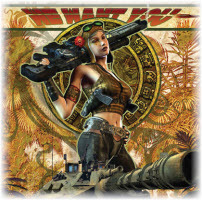 Plus a new short story by Travis S. Taylor, “Force Multipliers Being What They Are,” here. And read this month’s nonfiction essay, “Stasis: The Future of Suspended Animation” by Philip A. Kramer here.